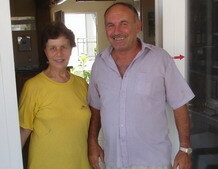 The Princess Hotel is on the outskirts of Mytlini town on the road to the airport just one street up from the beach. There are several important reasons I recommend this hotel. The first is the hospitality of Aris and Persefoni Laskaris the owners, who returned from Australia to their ancestral island of Mytilini. 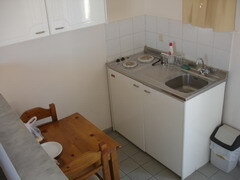 The second is because it is one of the few self-catering hotel-apartments in Mytilini, each having a small kitchen where you can do your own cooking. 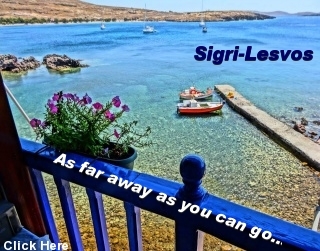 The hotel is on the bus line and within walking distance from a number of very good tavernas in the neighborhood. 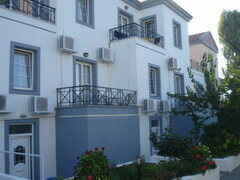 The rooms are air-conditioned, some with a few of the sea and almost all with balconies. The hotel has a cafe-breakfast room and a small bar where you can ask Aris all about the island. 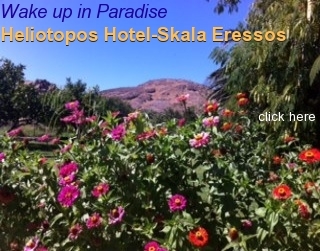 If you want to stay in Mytilini but not in the city this is a good choice.